So, I have been on Periscope since 16 June 2015. I decided that I would get on it because I wanted to be able to connect with my favourite female coaches. What I didn’t realise is the implications of being able to reach out to people. So, I have been able to extend my reach to more followers, help more, teach more. I love the ability to be able to connect in real time to anyone around the world and interact. Above all of this is the ability to connect with broadcasters. The benefit of Periscope is that, as a viewer, you have the ability to connect with the actual influencer. On other platforms, you are likely to be speaking with their VA or other assistant. On live streaming, it is THE person of influence. Now, this isn’t about jumping on their broadcast and being a fangirl. To develop a relationship with these people, you need to add value. So you need to add value to their business, their scope, or their passions. Periscope is open and raw, and you need to be prepared to join in that philosophy to gain from the medium. I am an Android user, so I have been able to connect with influencers by showing them how their scopes display on Android. This is important as most influencers use iOS, but most users are Android. By giving this advice, I have shown them how to connect and include more followers, allowing them to grow their reach and potential client base. I am happy to hop on and add comments and advice where relevant and useful. This is how I help influencers with their scopes. The thing is, it’s not always adding to what they are saying, it can add to the discussion in the comments. Comments fly past in the larger scopes & if you can answer a comment, that is really helpful. The other way you can help is by typing out website addresses or summarising the points they mention in their broadcasts. Doing this adds value to their users & is very helpful. This is where I have benefited as a business. So by sharing the values of a scoper/influencer I have gained a Joint Venture and I am in discussions with a major influencer in the US about working with them on a related charity. People, no matter who they are, love their passions and charities. If you honestly share those, then you have an amazing platform to develop an open and honest relationship with these people. So how does this flow to Twitter? If I am on an influencer’s scope & I am enjoying their content, I will share it to Twitter and use their Twitter handle to let them know I appreciated their content. By using their handle in the tweet, they receive notification that I mentioned them in a tweet, I am adding valuable content to my followers & I am exposing them to my followers. Their followers will also be notified that I mentioned them in my tweet (so I have access to their followers), but this is not my intention for tweeting them. By sharing to Twitter, users can then watch the broadcast in their browser and still benefit from the content and not have to have the Periscope app. I share to Twitter as there are more Twitter users than Periscope. Most influencers thank me for sharing their scope, they might follow me, their followers might follow me, and I grow my fan base and social influence. Yes, it’s a lot of social back scratching, but isn’t that how life works? If you would like to see more of my broadcasts you can watch them on Katch.me, on my Youtube Channel, or on my Periscope page. 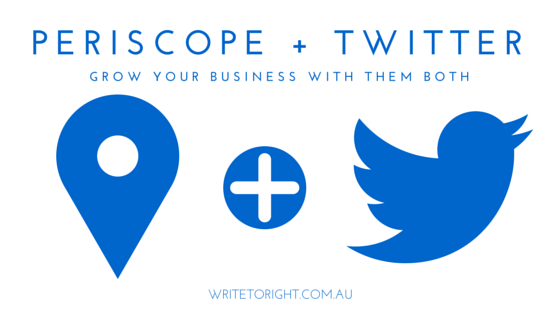 If you would like to learn more about how Periscope can help your business then please book a free 30 minute chat, if you would like Periscope training please sign up for the Newsletter to be alerted when it is going live. Congratulations! You’ve got your social media channel hooting along. You’re gaining followers, you’re getting great feedback, you’re interacting, and you’re closing sales. Now keep it up! You’ve got to keep paddling to stay on the wave. You’ve got to maintain your social influence. Businesses will hit gold and get a spike of social influence. The thing is, unless you maintain it, you will head back into social obscurity. 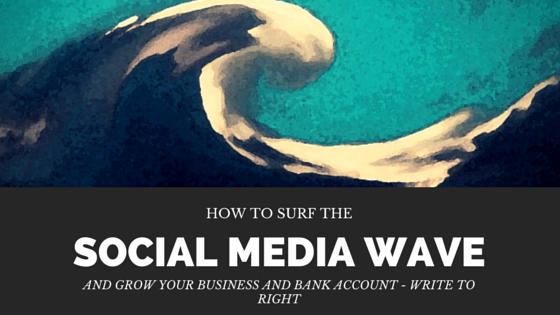 Perhaps your business received a fantastic shout out, or one of your posts/tweets went viral. Sadly, you can’t rest on your laurels and coast. In fact, this is when you have to paddle hard. Social media has a lifespan on its content. Some it’s instant, others it is 24 hours, some never expires. Regardless of how long it lasts, it won’t be long before the next best thing is breathing down your neck, wrestling you for the top perch. Rightly so though! This is where you benefit from your great content. On some platforms, your influence will continue for a week or so. In this time you need to be putting out some great offers, showing your benefits, and growing further. It’s not a time to coast. You need to be developing relationships, showing behind the scenes, driving people to your offers and opt-ins. More importantly, you need to be watching, listening, & analysing. Take this time to test your market & ask questions about their needs/wants/plans/likes. Watch their responses. Look at how they react to new offers or content. If you thought something was going to work and you heard crickets, then try a different time, a different day, or a different benefit. You need to use this time of high visibility to test, grow, & learn. Once you start seeing trends, this is your time to find more content that your followers will enjoy. This is your opportunity to keep that wave going. This is where you can keep riding high, learning, honing, developing, growing. This time is where you make your gold and you keep looking for more. You can’t rest, this is when you need to grow the most. To find out more on how I grow Facebook pages without advertising, subscribe to my newsletter. If you are ready to take the next step, then download my Facebook Reach workbook or book in for a live workshop. If you can’t wait or you need to be able to grow across a number of social media platforms, then your best decision is to move to my one-on-one coaching and business development package.